Polonaise in Gm BWV Anhang 119 (Unknown). 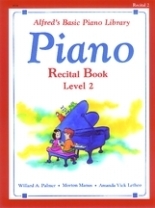 This book provides the perfect introduction to Baroque keyboard music and prepares the student for the works of J.S. Bach. It includes an educational preface and performance notes. Selections include: March in D, March in G and Polanaise in Gm by C.P.E. Bach, Minuet in G (Pezold), Minuet in G (Attr. Boem), and more. Contents include: March in D (Helm 1) (C.P.E Bach) March in G (Helm 1) (C.P.E Bach) Minuet in C Minor (BWV Anhang 121) (composer unknown) Minuet in D minor (BWV Anhang 132) (composer unknown) Minuet in G (Attr. 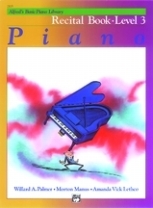 Boehm) Minuet in G (BWV Anhang 114) (Pezold) Minuet in G (BWV Anhang 116) (composer unknown) Minuet in G Minor (BWV Anhang 115) (Pezold) Musette in D (BWV Anhang 126) (composer unknown) Polonaise in G minor (BWV Anhang 119) (composer unknown) Polonaise in G minor (Helm 1) (C.P.E.